We strive for excellence in the performance and interpretation of diagnostic imaging and image-guided procedures. Our first priority is to deliver the highest quality patient-focused care. To that end, it is paramount to measure the quality of our services on an ongoing basis. 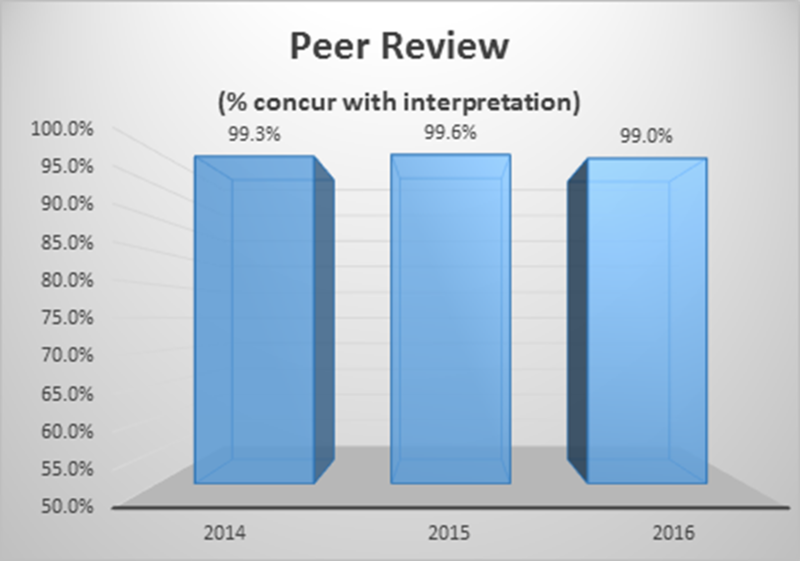 We have ongoing Quality Assurance and Peer Review protocols to determine that all radiology services are meeting expected performance goals which are in line with established benchmarks in the discipline of radiology. PRI’s quality assurance program is designed to promote continuous learning among our radiology staff and stimulate new directives for process improvement at all locations. PRI physicians must remain 100% compliant with QA directives.